Our essence has not changed over the eons and so we have collectively given birth to cycles..One of them is visiting us after 147 years...Saturn in Sagittarius and Scorpio..
Saturn moved out of Sagittarius on December 30, 1872. 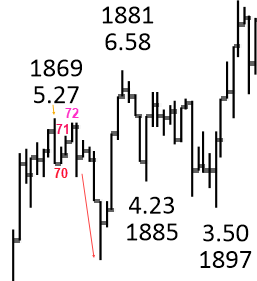 We find that from an 1870 low ( it happened after January 01, obviously ) markets moved up in 1870, fell to a low in 1871 but continued higher into 1872. In other words we are just experiencing a correction inside the uptrend. We may expect a rise once again after the correction to another all time high. Does Jupiter agree with Saturn? In 2017, Jupiter enters Libra on September 12, 2017 and remains there till October 11, 2018. We are in August 2017 and so are concerned about the entry of Jupiter into Libra. We find either just before entry into Libra or after entering Libra, an important low is formed by markets. Then there is a spectacular rise. 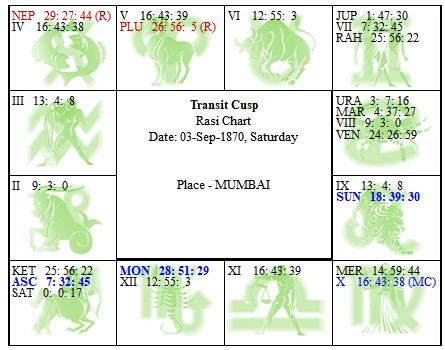 So the lows of Saturn and Jupiter are converging.Which means the Masters are in Agreement. Use the lows to get into the markets for continuation of the Bull trend. What else?